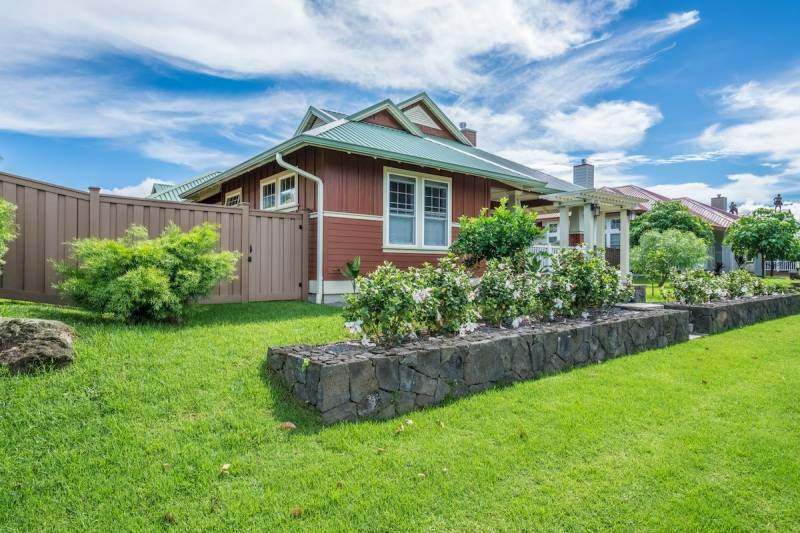 Everyone has heard the old adage phrase in real estate “location, location, location.” Nowhere is this truer than at Waimea Parkside in the heart of Waimea (Kamuela) on the Big Island of Hawai’i. 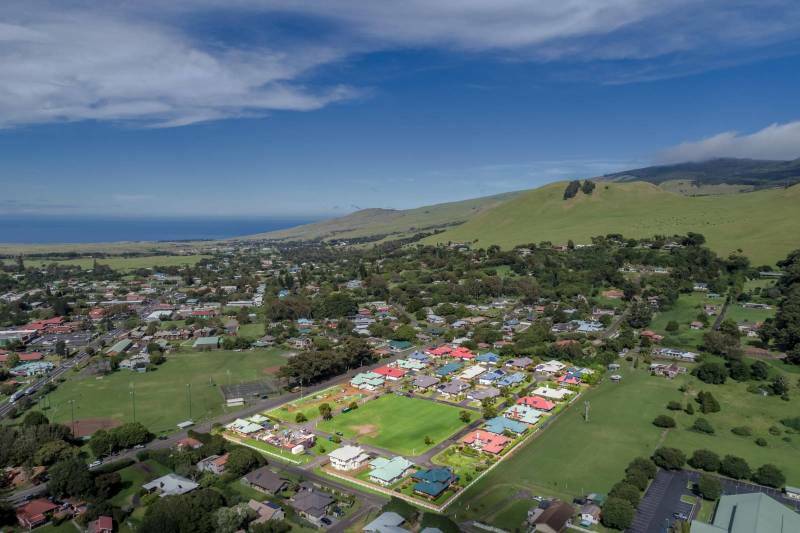 Everything from the Weekly Farmer’s Markets, the Anuenue Playground, Parker School, Hawaii Preparatory Academy Lower Campus & Waimea Country Schools, shopping centers, the Kahilu Theater, and many restaurant choices, are within walking distance. Although convenient, its central location in Waimea is just one of the reasons homebuyers are seeking out these exceptional new homes. Listen to Waimea Parkside homeowners talk about why they chose Waimea Parkside in this short video. 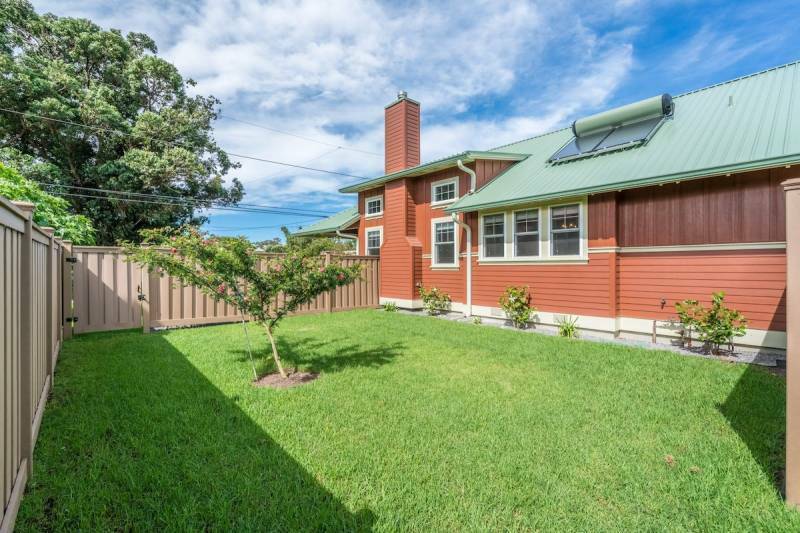 Anyone who has gone house hunting in Waimea knows that new construction is rare to come by. While the homes in Waimea Parkside are brand new, they are not without character or a homey feel both within and around the home. This comes from the homes being designed to blend into their surroundings and effortlessly match Waimea’s plantation-style architecture. A sense of community can be found just outside of the home, the neighborhood is full of life with dogs being walked, kids riding their bikes, and early morning joggers starting their day. Beautiful new construction inspired by Waimea’s plantation-style architecture – MLS# 622513 is for Sale! Waimea Parkside is a PUD (Planned Unit Development) which means land use and site plans complement each other, creating efficiency and lower maintenance for homeowners. At Waimea Parkside, all Lots are a manageable 10,000 sqft. offering ample yard space but low yard maintenance, leaving plenty of time to enjoy your Hawai’i life. Concrete walks and driveways for easy care. Roof-mounted passive Solarhart LX Series solar water heater. Continuous concrete stem wall foundation with gravel surround. Fully irrigated, seeded and planted yard with privacy fencing between yards per plan. Pre-Finished engineered wood flooring in the living room, dining room, and kitchen. Kohler and Whirlpool stainless steel kitchen appliances. Double hung Milgard insulated glass windows. Toto washlets and heated towel bars in master bathroom. Bathrooms have a radiant heating system beneath the floor with programmable temp and time control. Exterior and interior doors are all solid core and paneled (including garage doors). Majestic 42-inch CDVT fireplace with blower, brick panels, venting and Kenwood mantle surround. Baked enamel roofs with a Durapon 70 PDVF fluorocarbon coil coating that deflects UV rays to reduce island heat effect. You can read about each of the currently available floor plans for sale in my recent blog: Brand New Custom Built Homes at Waimea Parkside. And keep in mind that you have the option to work with the developer to custom build your Waimea Parkside home. Contact me for more information. Julie Keller is a REALTOR(B), BIC with Hawai'i Life. You can email me at	julie@hawaiilife.com	or via phone at (808) 987-7931.
what are the average size floorplans and starting price points for the Waimea Parkside community?